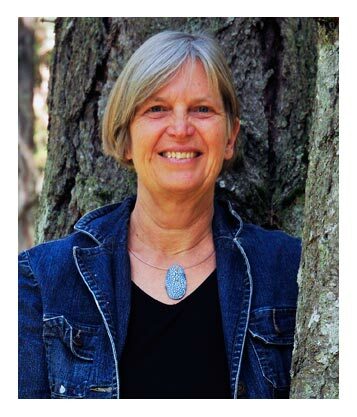 Ann Eriksson, novelist and biologist, will read from The Performance on Wednesday, Nov. 1 at 5:30 p.m. in the Alumni Lounge at UNB’s Fredericton campus and as part of the Lorenzo Reading Series on Thursday, Nov. 2 at 7 p.m. in the Hazen Hall Lecture Theatre at UNB’s Saint John campus. Eye-opening and compelling, Ms. Eriksson’s The Performance is rooted in the narrator’s feelings of compassion, and her wish to explore a way of life which she has never had to face to help a friend. The book follows musician Hana Knight whose life appears to be on a journey to success and fame. She has trained her entire life to be a classical pianist, and now that she has gained a patron who handles everything for her, it has all paid off. However, her life is thrown off course when she meets Jacqueline, an elusive homeless woman in New York who attends her concerts. Now torn between the world of the elite and that of New York’s street people, she is faced with the truth of her privileged upbringing and her connection to Jaqueline’s past. In Fredericton, the event is sponsored by the Department of English, the UNBF Bookstore and The Fiddlehead. In Saint John, the Lorenzo Reading Series acknowledges the support of the League of Canadian Poets, UNB Saint John, UNB Saint John Bookstore, Canada Council for the Arts and its private reading sponsors. For more information contact cjohns11@unb.ca (Fredericton) or lorenzo@unb.ca (Saint John).